If you are highly serious about gaming, then take a look at GS70 6QE Stealth Pro laptop. It is considered a beast when it comes to gaming. This is most likely the best gaming laptop on the planet. Packed with the latest 6th generation i7 processor and up to 32 GB of RAM, it won't get any better than this when it comes to gaming. So, let's take a look at the features. MSI has always been a step ahead than all its competitors when it comes to gaming laptops. The latest laptop from MSI GS70 6QE Stealth Pro proves this fact once again with its mind blowing technical specifications. This laptop comes with the latest 6th generation i7 processor which is the latest processor from Intel. It also has two DDR4 slots for RAM which can fit up to 32 GB of RAM. There is also a 3 GB Graphics card which is obvious when you consider this laptop as the top gaming laptop. One of the things that I like about this laptop is its 17.3 inch full HD screen. This will get you more immersed in gaming along with its True Color technology which offers high contrast and stunning image detail. So, enough of the introduction, let's get right into the technical specification and the amazing features of this gaming beast. 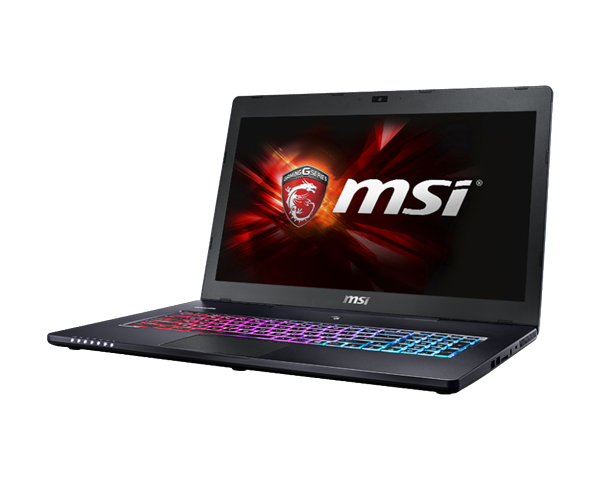 The following are the technical details of MSI GS70 6QE Stealth Pro laptop. This machine is powered with the latest 6th generation i7 processor. The best thing about this processor is that consumes less power and at the same time provides better performance than its predecessor. CPU performance of Core i7-6700HQ is 20% faster than i7-4720HQ for an average usage. This processor will make sure that there is no software or game in the market which will not run in your laptop. You will never have the issue of your PC freezing or becoming slow at all. It comes with the latest Windows 10 OS from Microsoft. It has two models a Windows 10 Pro and a Windows 10 Home version. The latest Windows will give you additional features from Microsoft and support for long. Even the latest games and software released will be sure to work well with your laptop. There are two slots of DDR4 RAMs which has the capacity of 32 GB of main memory. It has the latest DDR4-2133 architecture. It has 30% more performance speed than the previous DDR3 architecture. It has got above 29 GB/s reading speed and more than 32 GB/s writing speed. This speed will take your extreme gaming experience to the next level for sure. GS70 6QE Stealth Pro laptop has got a 17.3 inch display size with full HD screen resolution. Its True Color technology makes each pixel in the screen look even better. It displays the correct colors which most of the laptops lack. It provides better contrast levels to help you take your gaming experience to the next level. This bigger screen size will definitely help you work with some high end graphical video editing and 3D animation software applications. GS70 6QE Stealth Pro laptop is powered with NVIDIA GeForce GTX 970M Discrete Graphics Card with GDDR5 3GB VRAM which provides next generation gaming capabilities to this laptop. This graphics card has 28% better performance than the previous 870M. The latest high end graphics 3D games will have no problems whatsoever in running in this laptop. As far as connectivity is concerned it has Bluetooth 4.1, an SD (XC/HC) card reader, Killer GbLAN with Killer Shield, an HDMI (v1.4) port, two 3.0 USB ports and two 3.1 USB ports, a mic in, headphone out jack and a line in jack. The following are some of the cool features of this amazing gaming laptop. This helps cool this laptop since it will be used heavily for gaming which will eventually heat it up. MSI exclusive Cooler Boost 3 technology creates dual thermal modules internally by allocating dedicated heat pipes for GPU and CPU. 4 heat pipes and dual fans help in pushing the heat out of the laptop. This laptop has silver lining printed keys which looks great at night. This will improve your gaming experience even more. The keyboard supports multi-inputs and is also more responsive to let you gain full command over your missions in your game. You can experience the high quality audio and realistic sound effects when gaming with this machine. This laptop supports PCI-E GEN3x 4 SSD which will make your game and software load up faster than ever. This SSD is 5x times faster than SATA3 and gives a transfer rate of above 2200 MB/s. To conclude, let me tell you that if you are really a computer geek and is seriously into gaming you should definitely check this out no matter what. One of the downsides of this laptop is that it is a bit pricey but you definitely get what you pay for. So, if you are looking to buy a great gaming laptop MSI GS70 6QE Stealth Pro may be the one for you.